1 .With the special card, you can open the door, and just insert the same card, you can gain power of the room. Also there is option of our swiches which suitable for any kinds of the same size cards. LED indicator light-emitting design, more convenient to use at night. 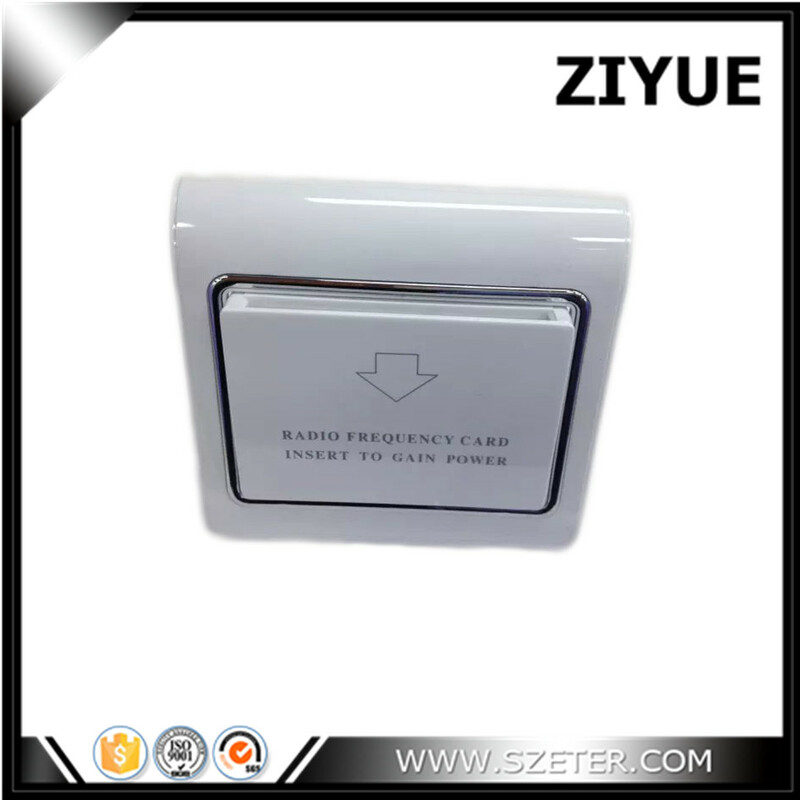 When leaving the room, the guest draw the key card, and then the general power supply can be automatically shut off within 10- 15 seconds, convenience to guests, and also protect the electric device safety. Intelligent energy saving switch get the benefits for the hotel. If the guests do not turn off the electrical equipment before going out, and the servers take no notice of that. Then the electrical equipment would have a long term operation. Having a long-term operation, It would lead to heat themselves. If they heat over time, then it will shorten its service life or burn themselves, and even catch fire. 2. The link is not including cards or mouting box. If you need cards or install box, you need pay additional cost. We can ship them to you together. We are factory , we welcome bulk order and OEM to print your logo on it if neede!